This striking sheep is completely white or golden colored with a white face. The horns grow up, out, down, forward, up, and out. A large male will weigh 140 pounds while a females will weigh 75 pounds. 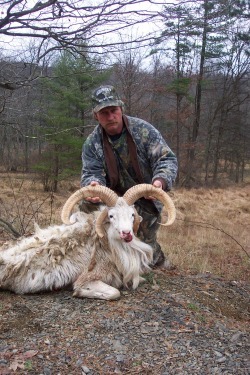 The Texas Dall sheep is a hybrid sheep that was originated in Texas. 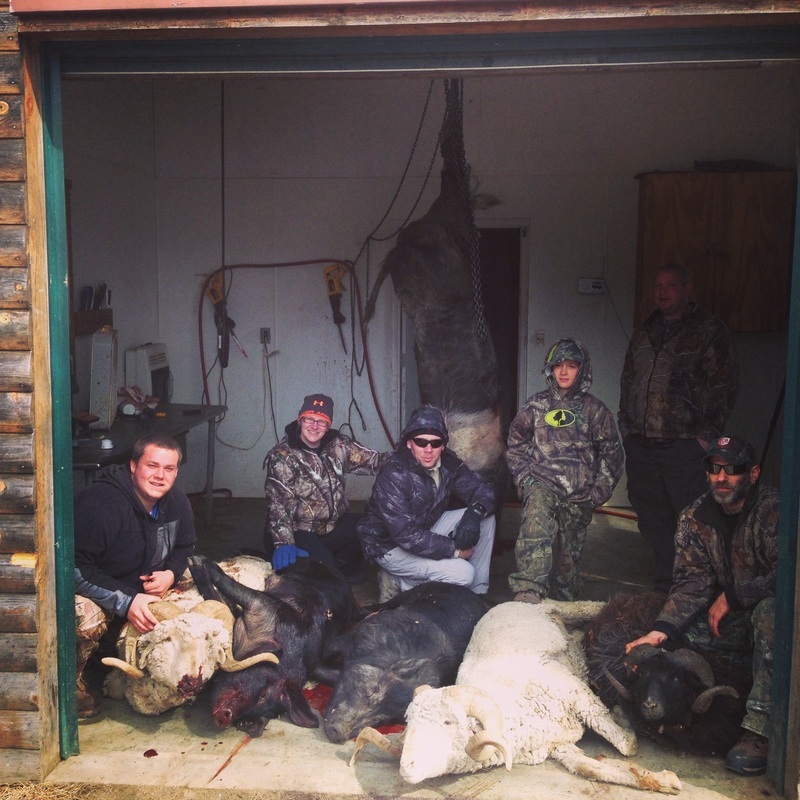 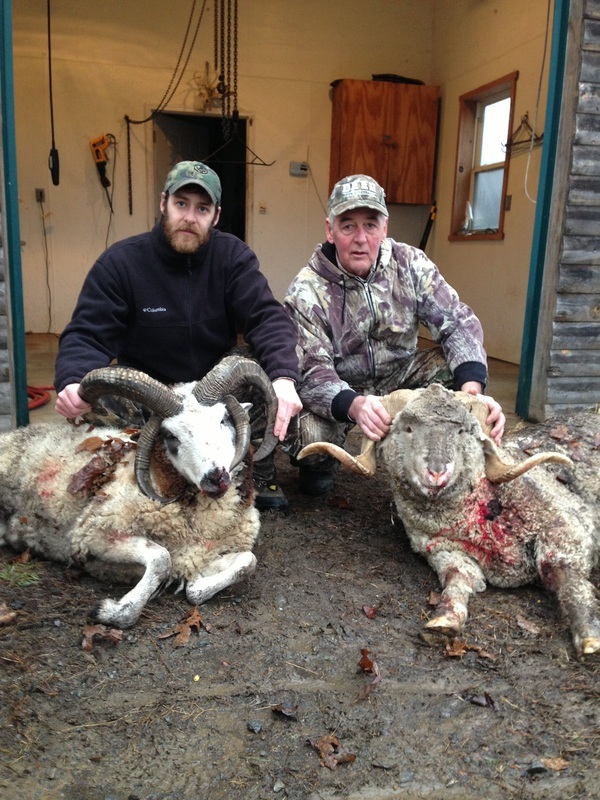 They look similar to an Alaskan Dall sheep. 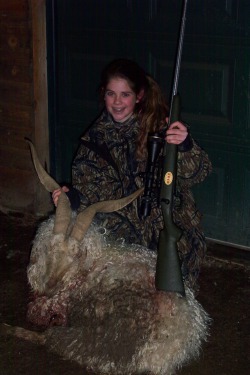 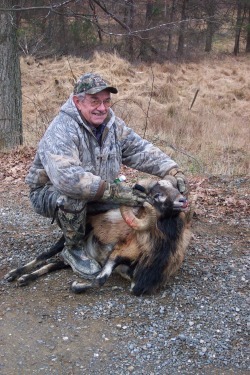 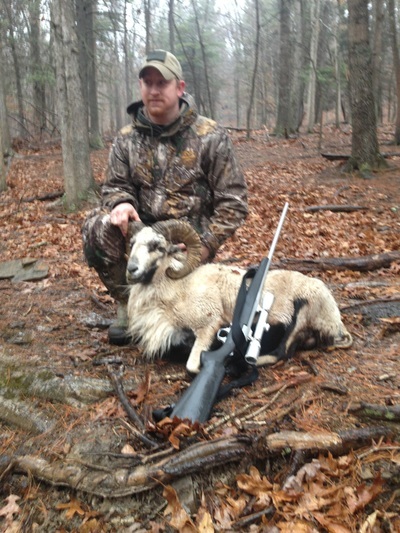 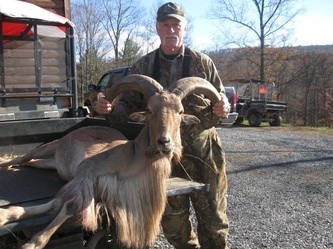 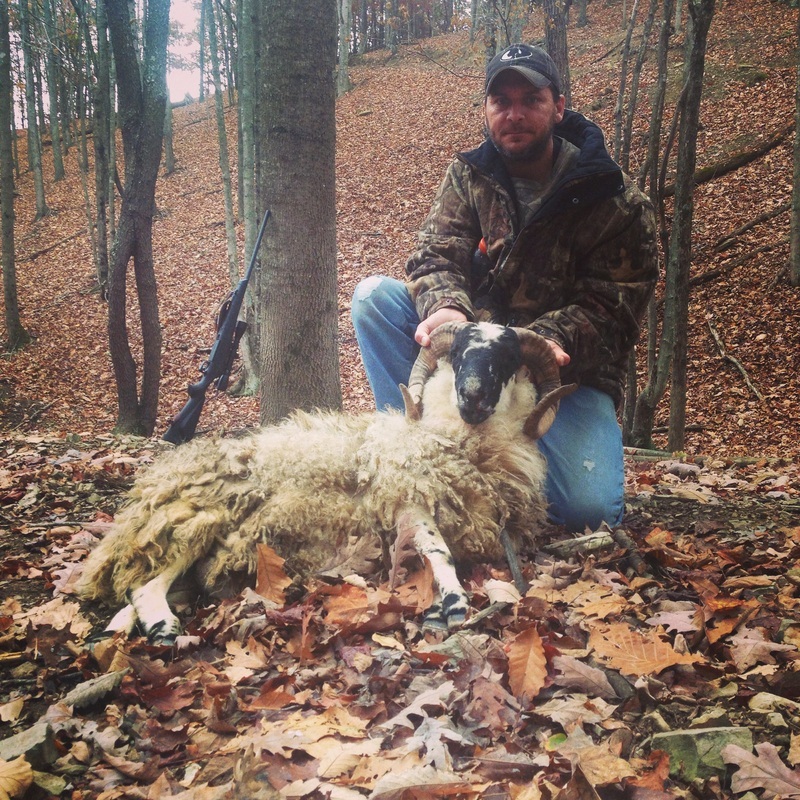 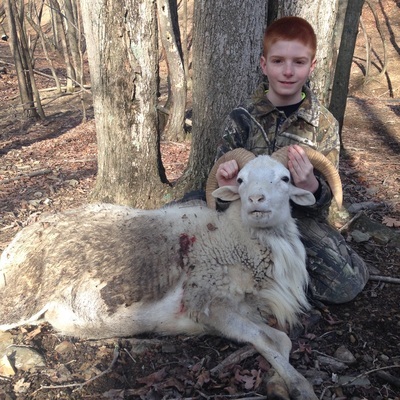 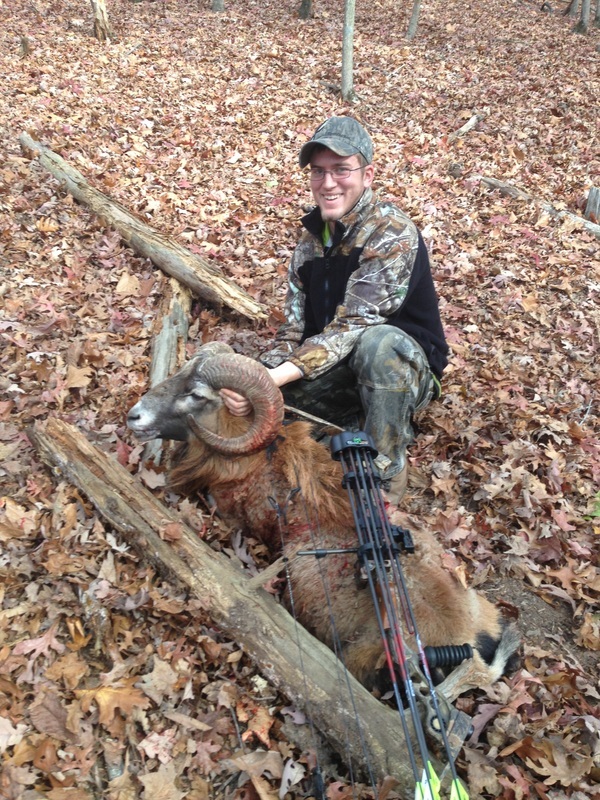 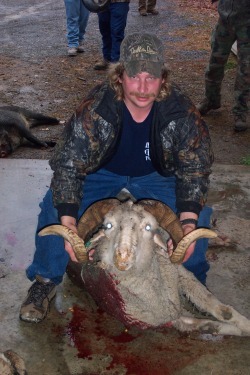 This is one of the most popular and sought after rams to hunt. 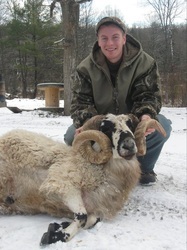 These sheep are black in color and sometimes have an outer coat of reddish wool. 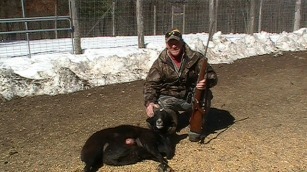 They will frequently have a white muzzle. 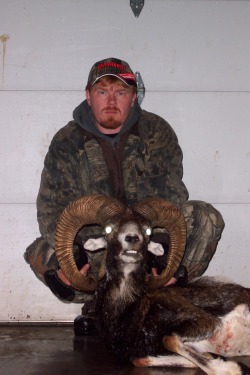 The horns are usually dark. They grow up, back, down, forward, up, and out. 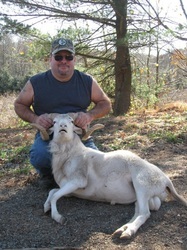 A large male can weigh 140 pounds and a female will weigh about 75 pounds. 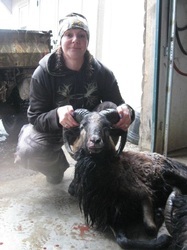 There are fewer Black Hawaiian rams than the other sheep species. They can have a thick, nice beard on their neck. Sailors put these sheep off in the Hawaiian Islands so they could have fresh meat when they returned. The Mouflon Ram lives on the islands of Sardinia, Corsica, and Cyprus. 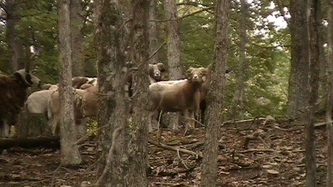 It is considered to be endangered in its native habitat. 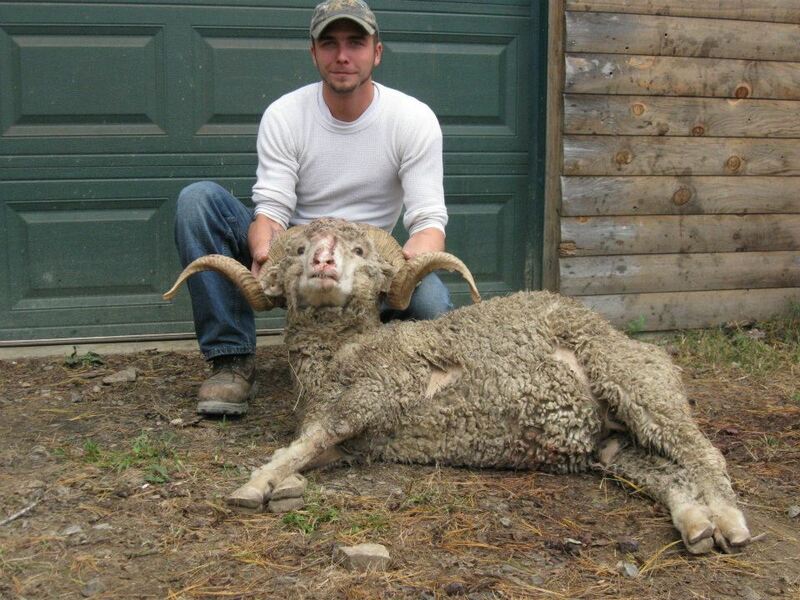 It is a mountain sheep and a grazer. 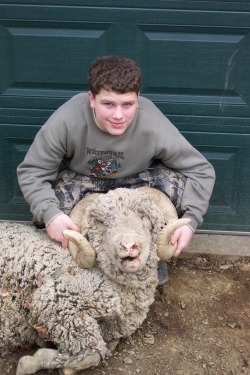 The animal does have a voice and warns other sheep by baaing in different tones. 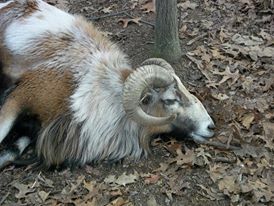 It lives in a grassland biome and feeds on grass. 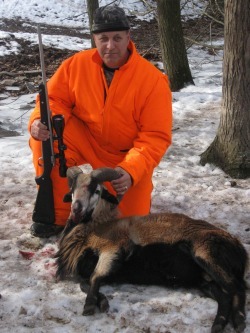 The Mouflon sheep is the mountain sheep that develops a woolly undercoat in the winter. 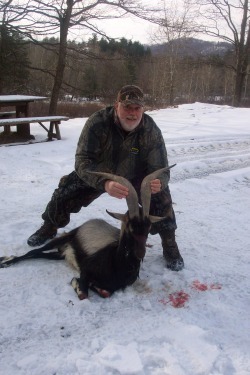 Two of its distinguishing characteristics is a saddle looking spot on its back and heart shaped horns. 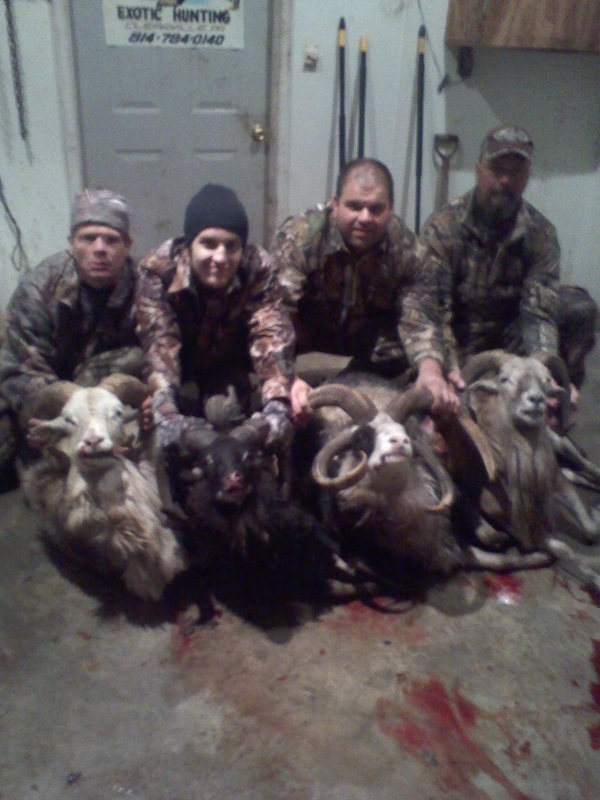 They usually lives in groups of 20-30. 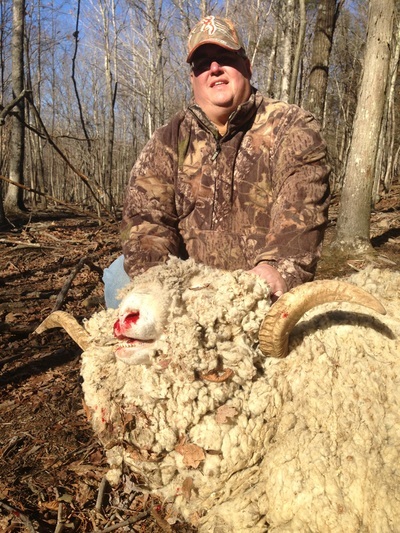 The sheep uses its curved horns to protect itself. 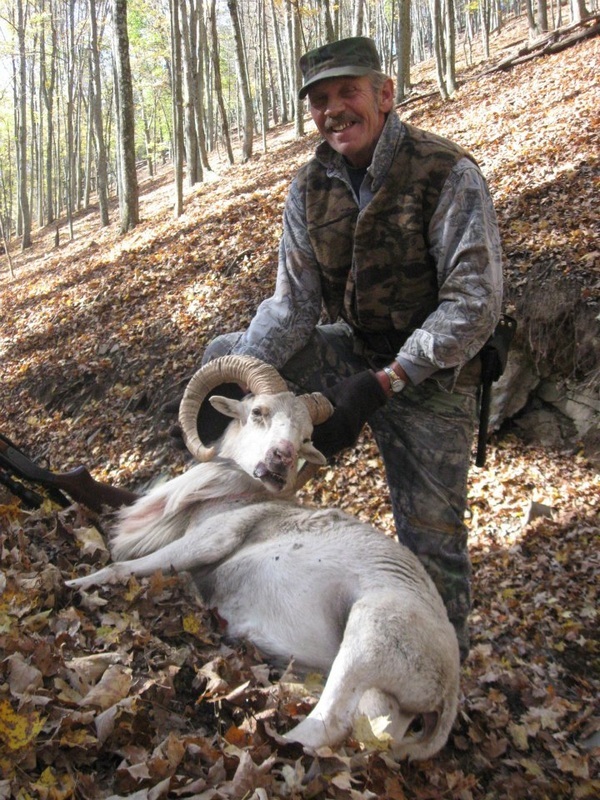 The Mouflon sheep has been introduced into the mountains of Hungary, Austria, and Czechoslovakia, and it was a successful experiment. 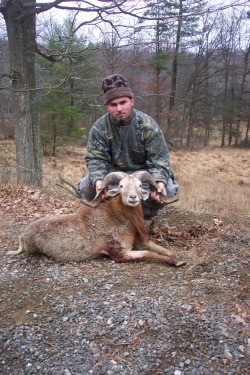 The Mouflon stands about 27 inches tall at the shoulders. 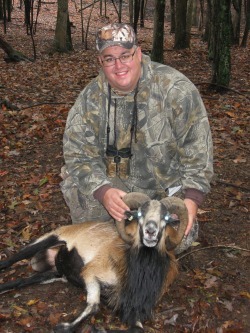 It is a reddish brown color, marked with a dark stripe down its neck and shoulders. The Aoudad Ram is a goat-like antelope commonly found in the rocky mountain regions of North Africa. 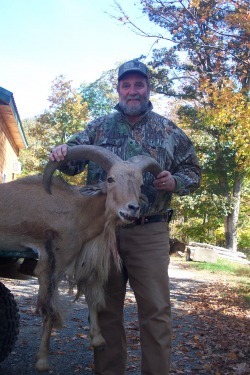 The Aoudad stand 30-40 inches at the shoulder and weigh from 90-310 pounds. The is a magnificent animal which is usually mounted in a half body to show off its beautiful long flowing chaps down the front legs. 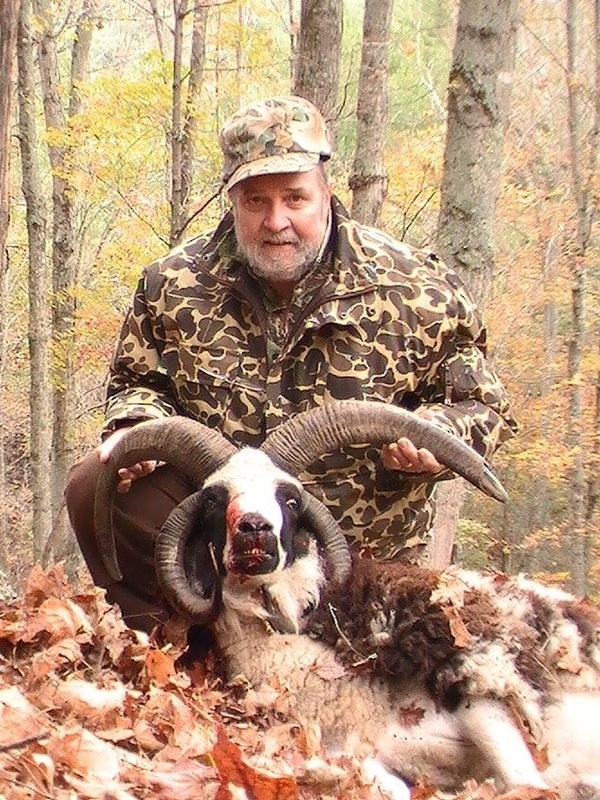 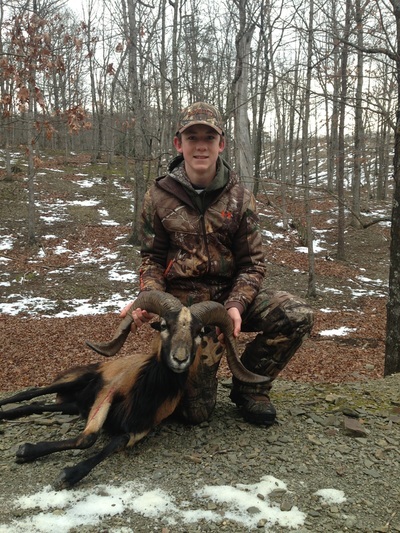 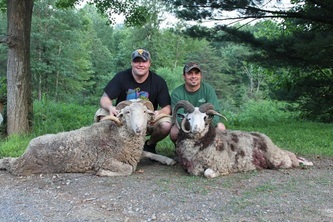 The Corsican Ram is one of the most beautiful rams to hunt. 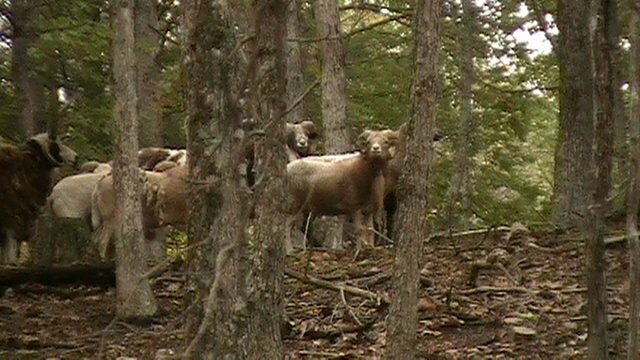 The Corsican is a hybrid sheep that began its history in Texas about 40 years ago. 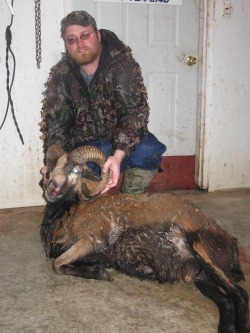 Rams will usually be brown with a black or white belly. 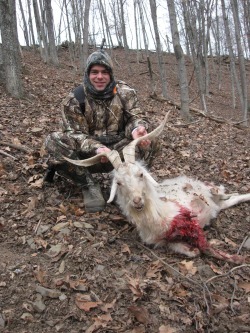 Males will often have long black hair on the neck that many call a ruff. 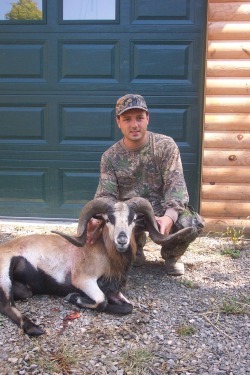 The horn configuration on a ram can vary from a tight curl similar to a Mouflon sheep or wide and flaring horn. Horn lengths on a trophy sized animal start at about 30 inches and exceptional specimens can grow horns that will score the 38 to 40 inch mark.